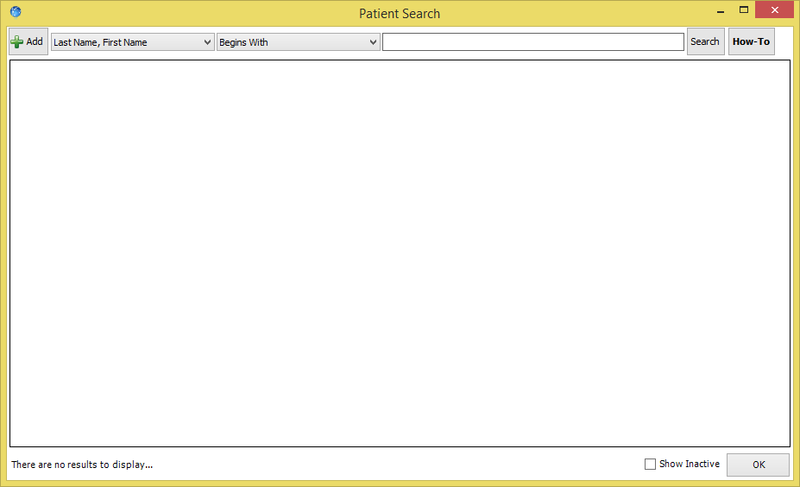 This page will explain how to utilize the patient search in TRAKnet 3.0. To search for a patient in TRAKnet, from the Patient Chart tab on the far left-hand side of the TRAKnet window, click the “Patient Search” button. This will open the Patient Search window. From this window you can double-click on the patient’s name in the list or click on the patient’s name and click OK to open this patient, click Add to create a new patient, and check the Show Inactive checkbox to also see inactive patients, highlighted in yellow. You may also preview an abbreviated list of patients to quickly access their charts in the Patient Quick List section on the left-hand side of the TRAKnet window, below the Main Menu header and search box. The Patient Quick List will provide a preview of that day’s scheduler, allowing the user to see the time for the appointment and the patient’s first and last name. Patients may be selected from this list by double-clicking on their name to open them in the primary Patient Chart screen. To hide this menu and create additional screen space, click the Hide Menu button at the top of the screen. 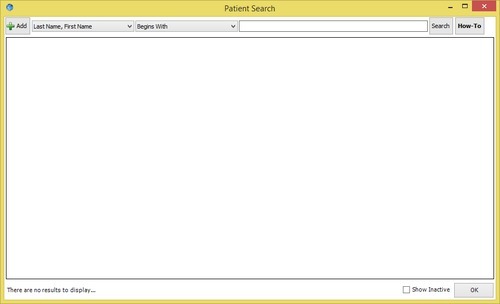 To search for a patient while the menu is hidden, click the blue Patient Search button.